This product either ships by truck or is special order. It is not available for purchase on-line. Please call us at 888-278-0377 to order, to get a quote for freight amount, or if you have any other questions. 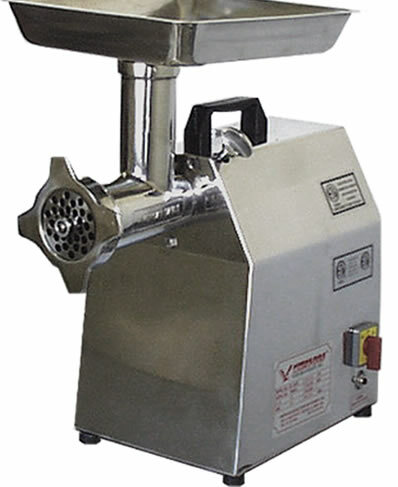 This grinder is intended for heavy duty work in commercial food processing applications. 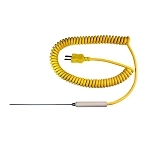 Ideal for kitchen, meat department and even home applications for the small game processor. Complete stainless steel construction including the head. Has a forward/reverse grind switch. Comes with a #22 15/64" and 5/16" plate, knife, a funnel and a stuffer. Dimensions: 18-1/4" x 9-2/3" x 20-3/4"
Shipping: Ships by truck. Call us at 888-278-0377. This product either ships by truck or is special order. Not available for purchase on-line. Please call us at 888-278-0377 to order, get freight amount, lead time, or for any other questions.